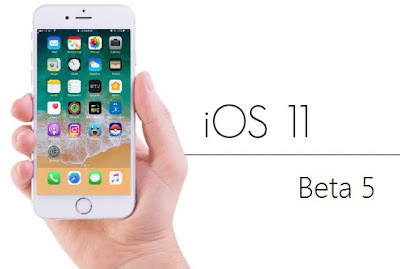 Before the final release of the iOS 11 in September, Apple has released a new beta version of the operating system. As usual, the fifth beta is only available to those who have Apple Developer Program membership, which comes for $99 annually. The membership enables users to access new betas, developer tools and content. It’s worth mentioning that this is a testing version and might come across bugs, crashes and poor performance. So it is preferred not to install the beta on a device you use every day, unless you’re willing to live with the above issues. If you’re already running iOS 11 and have the beta profile installed on your iPhone or iPad, go to Settings > General > Software Update on your compatible device. But if you’re part of the public beta program, you’ll probably receive an update in a couple of days. iPhone 7, iPhone 7 Plus, iPhone 6s, iPhone 6s Plus, iPhone 6, iPhone 6 Plus, iPhone SE, iPhone 5s, 12.9-inch iPad Pro 2nd generation, 12.9-inch iPad Pro 1st generation, 10.5-inch iPad Pro, 9.7-inch , Pad Pro, iPad Air 2, iPad Air, iPad 5th generation, iPad mini 4, iPad mini 3, iPad mini 2 and iPod touch 6th generation. macOS High Sierra, watchOS 4 and tvOS 11 also received a beta update today. What’s New in iOS 11 Beta 5! Apple has added new bugs, some tweaks to various features and design choices and also has fixed existing bugs. Here are some changes in the beta 5; iCloud Messages feature has been removed but Apple says it will be re-released in a future update to iOS 11. Change in the design of Music app in the Control Center which now show a new pulsating indicator that lists nearby audio sources like AirPods, speakers, and AirPlay devices. 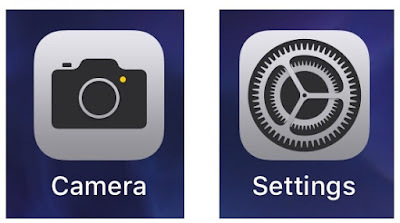 Settings icon has also been tweaked with black background, Camera icon gets simpler design and when screen recording is active the indicator bar red instead of blue, making it more prominent.